There is a lot to love about Marrakech from its mystical souks and central square to its comforting riads and historical medina. But the hustle, the bustle and the pounding heat, not to mention the never-ending bartering, can make us eager to get out and explore all the wonderful things that await. Beyond the borders of Marrakech lies a greater Morocco filled with fascinating things to see and do. We’ve got our top five to help you work around the many options. 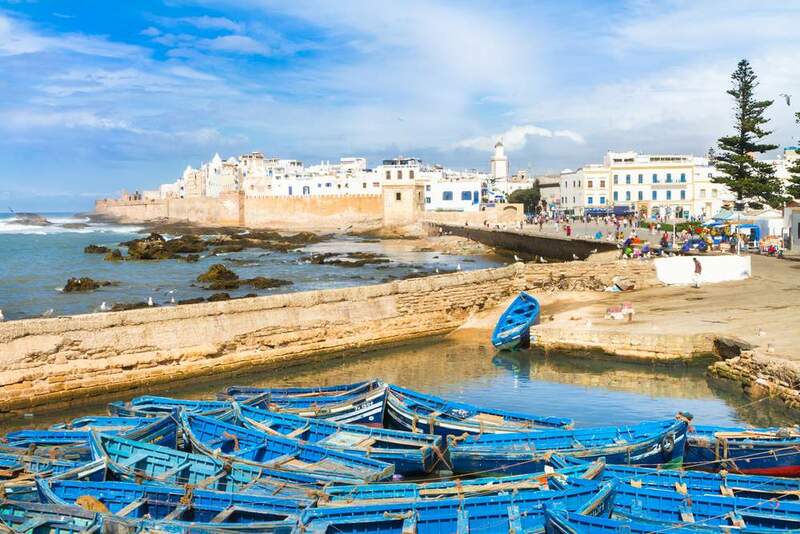 It’s a two and a half hour drive from Marrakech to the lovely seaside town of Essaouira, known for its wind-swept coastline, charming medina and easy access to beautiful beaches. It’s also known for its fishing culture, which means you can eat fresh fish and seafood straight from the sea right at the port. Just beware of those pesky seagulls! It’s a relaxed retreat from the wild, winding streets of Marrakech, which can be overwhelming at times. Essaouira isn’t nearly as big as its neighbour to the east, but its charm lies right in that quality. The medina comes complete with more than enough bric-a-bric shops, jewelry stores and food stalls to keep you entertained for several hours, and the beach is just a few minutes walk away making this an easy place to explore for an afternoon. 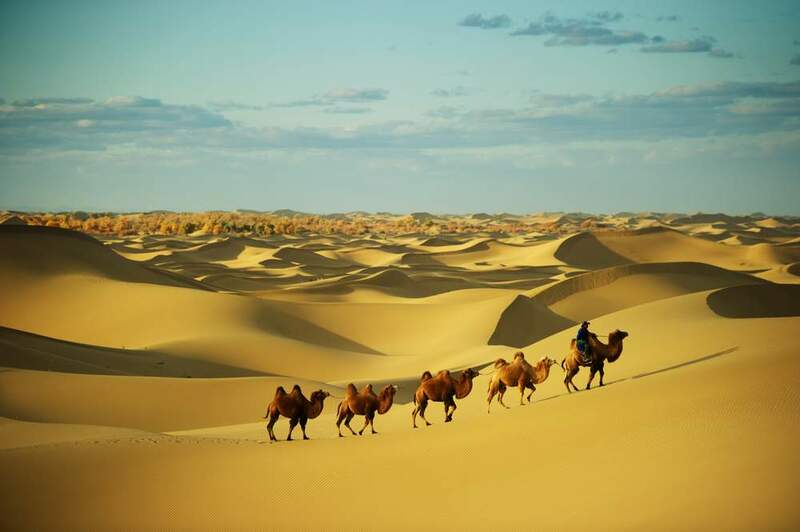 The proximity of Marrakech to one of the world’s most mesmerising deserts makes a desert tour a must-do activity. And to convince you even further, you will get to ride a camel, which seriously sweetens the deal. It can be a lengthy drive to get out there but it’s a drive that allows you to see a side of the country that you’d miss otherwise. Plus, we think you’ll quickly forget about your time in the car once you arrive to see the colours and contours of those desert sands glowing in the heavy sun. It truly is a one-of-a-kind sight to witness that you won’t forget. The Atlas Mountains are one of Morocco’s greatest natural attractions and you’ll be surprised to see that this towering mountain range with its cold temperatures exists so close to the pounding desert heat of Marrakech. The Todra Gorge is one of several highlights to see here and is certainly one its most epic features. On top of the general awe that comes from witnessing these towering cliffs rising up from the sides of the river, the gorge is also one of Morocco’s great rock climbing destinations and attracts a good number of locals and tourists alike. 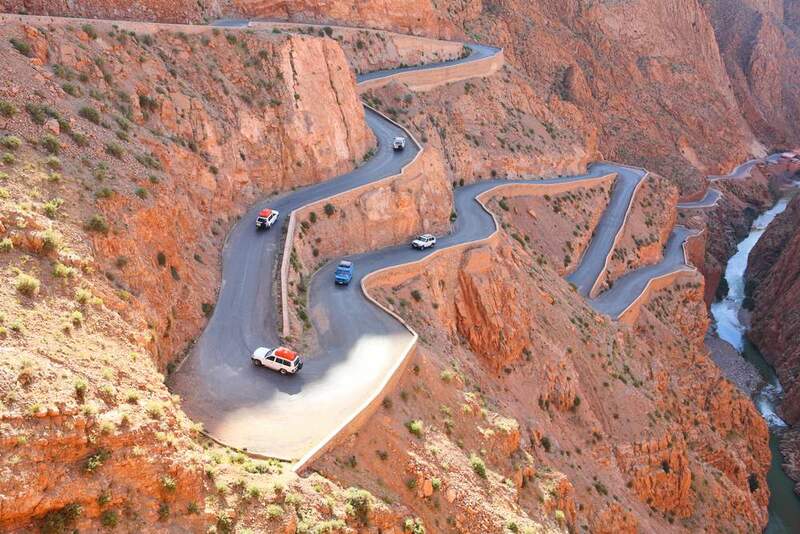 It’s certainly a magnificent site and a fantastic day-trip from Marrakech. 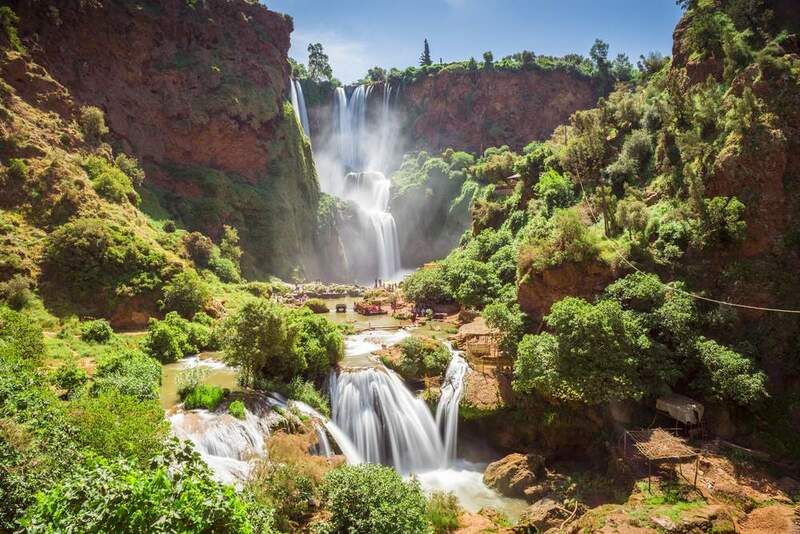 In addition to the Todra Gorge, Ouzoud Falls is one of the great attractions to see in Morocco’s Atlas Mountains. It’s a full day’s journey there and back from Marrakech but one that is certainly worth the time and effort. The power of these cascading falls and their various levels is beyond impressive. The site now has been developed enough to include cafes and tour boat operators who drive visitors to see the largest falls and their beautiful rainbows up close. Remember to bring a swimsuit so you can hop in the lower pools for a quick cool down! 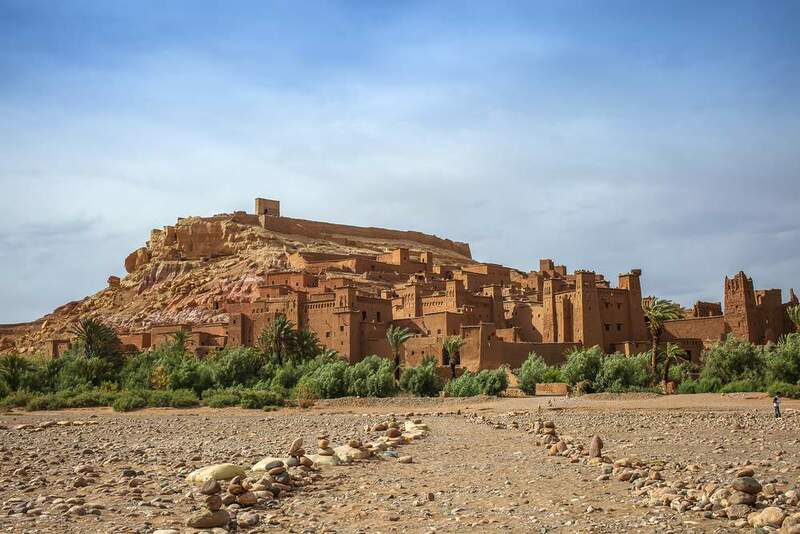 Not only has Ait Ben Haddou been the filming location of several major Hollywood productions like Gladiator, Lawrence of Arabia, The Mummy and many others, but it is also a UNESCO World Heritage Site that offers a fascinating glimpse into a traditional Moroccan society. The Berber village with its clay architecture is now a popular tourist attraction but day-to-day life still goes on here very similarly to the way it always has. If you’re interested in seeing this wonderul landmark then finding an organised tour is made easy from the many tour operators in Marrakech.